Models are having a moment over at the UK edition of Harper’s Bazaar. In January, the mag gave us Nastya Sten, in March it was Sam Rollinson, and now Lindsey Wixson appears on the front of the May 2017 issue. Our forums took an exclusive first look at the limited cover for subscribers earlier this week and instantly fell in love. Photographed by Bazaar-regular Erik Madigan Heck, Lindsey captivates in the delightful shot (wearing Christian Dior styled by the magazine’s own Leith Clark) which resembles a gorgeous piece of Renaissance art. Members of our forum flocked to the thread to give the cover some love. 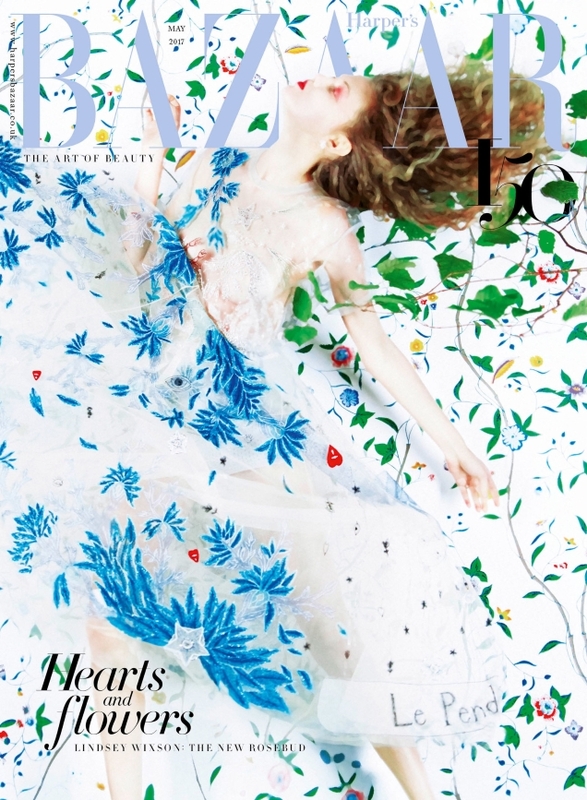 “Amazing cover, Bazaar UK rules!” commented RegardezMag upon seeing the cover. “Stunning! Definitely something I’m looking forward to getting. I’m a tremendous fan of Erik’s work, and he truly delivered here. Also, love that Harper’s Bazaar is not going for the usual suspects when it comes to models (Kate, Cara, Georgia, etc). It’s all about the theme, not the model,” applauded a delighted Benn98. “Wahoo! Splendid!” said an equally impressed Tony Fersen. HeatherAnne couldn’t have agreed more. “Lovely spring cover, Leith Clark rules this magazine,” she enthused. “This looks great. Erik Madigan Heck is consistently great,” raved forum member mistress_f. “Simply breathtaking!! One of the best covers of the year,” said congacon. “Love the newsstand cover, it’s in a way quite unconventional for the newsstand. I’m also impressed that UK glossies are looking more and more towards underrated models as opposed to the trending names,” said Benn98 once the newsstand cover was released (below). Nice one, Bazaar! Compare with the regular newsstand cover and share your opinion here.